Fourth Generation Vintner, Donny Sebastiani announced today that the company had made an investment in key personnel to help build the foundation for the next generation of the family’s business. Company veteran Andrew Meyer was named Vice President of the West Region. Andrew’s expanded role includes overseeing of both of the family’s wine portfolios (New House Vintners and Foundation Wine Collection), as well as the national lead for three new, soon-to-be-released craft tequilas, all-natural snacks (almond, pistachio, cashew, and pecan) under the U Gottabee Nutz umbrella, and organic, all-natural sparkling water products still in development. Previously, Andrew was the company’s Regional Vice President for New House Vintners. The company also announced the following updates to his team. Spearheading the development of the water products is Cameron Morris who joined the team earlier this year as Director of Sales and Field Marketing for L’Eau and Behold waters and resides in Sonoma. Leading the all-natural snacks efforts is Pierre Boucha as Director of Sales and Field Marketing for U Gottabee Nutz. Pierre is based in Houston, Texas. In support of Andrew’s West Region wine team, the family announced a key promotion and three new hires. Jack Meyer has been promoted to National Account Manager, in recognition of his 10 year history of success with the company – a history that started in merchandising, moved through marketing, and most recently transitioned to regional and national-account wine sales responsibilities. Doug Duval has been hired as Regional Wine Manager for California, Hawaii and Nevada and lives in Newport Beach, California. He will report direct to Andrew Meyer. Also joining the team is Dwayne Christensen as Area Wine Manager for Oregon and Washington. Dwayne resides in Vancouver and reports to Steve Pearce, Regional Wine Manager for southwest and western mountain states. Most recently, Brett Kathey joined the company as Area Wine Manager for Louisiana and Texas and is based north of Dallas. Brett will report to Dave Massenti, Regional Wine Manager for central southern states. Cameron Morris’ prior role was as Business Development Manager for Rekorderlig Cider in the Bay Area. Cameron was responsible for sales growth and managing national and international accounts, retail accounts, direct sales and hospitality accounts. He also managed West Coast distribution through Young’s Market Company and has worked with Southern Wine and Spirits. Pierre Boucha’s previous role was as Regional Sales Manager for Wonderful Brands in Los Angeles. His extensive sales and marketing management experience includes Regional Sales for Diamond of California and Key Accounts with Schwan’s Consumer Brands. Doug Duval was most recently with Proximo Spirits as Regional Director of Northern California, and prior to that he was with Deutsch Family Wine and Spirits. In his previous five years, Dwayne Christensen was a Sales Manager at Southern Wine & Spirits in Washington. Prior to that, he was with The Wine Group where he managed both wholesale and chain accounts in the Pacific Northwest states. 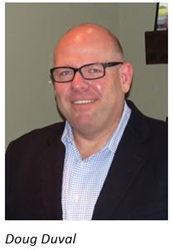 Brett Kathey comes from NORMco Energy Products where he held the position of Vice President of Sales and Business Development for North America/Canada/South America. Prior to this, he was Regional Director at Aveníu Brands for four years, responsible for all areas of business on the southeast. Don Sebastiani & Sons welcomes its new team members, congratulates those promoted and looks forward to an even more exciting second half of the year. Don Sebastiani & Sons is a family-owned beverage and natural snacks company based in the Sonoma Valley, with a winery in the Napa Valley. Principals Don Sebastiani and his sons, Donny and August, are third- and fourth-generation California vintners and merchants. The company was recently named one of the Best Places to Work by the North Bay Business Journal for the third consecutive year; that same publication also awarded company General Manager and CFO Tom Hawkins with the honor of Winery CFO of the Year. For more information on Don Sebastiani & Sons and their wines, please visit http://www.donsebastianiandsons.com/.